NEW! Surprise your favorite friends and family with a gift tin of buttercream frosted treats! 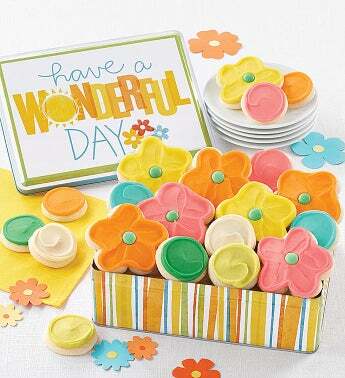 This all-occasion gift includes our delightful individually wrapped, buttercream frosted flower cut-outs along with an assortment of our NEW snack size frosted cookies – a gift guaranteed to brighten their day! OU D. 20 cookies.